Networking ist für Unternehmer und ambitionierte Young Professionals essenziell, um ihre Ziele zu erreichen. Die folgenden – englischsprachigen - Artikel bieten Tipps zum Networking und erklären, wie man das meisten aus persönlichen Kontakten macht. Networking events offer great opportunities. To successfully start future relationships, it is necessary to observe some essential rules. First, introduce yourself by giving your best elevator pitch. Second, try to keep the conversation rolling by asking your dialogue partner(s) questions that you could learn from. For example, ask about the things they like most about their business and find out what got them started to choose this particular industry. Furthermore, you might want to find out about other interesting network events. Finally, keep in mind that networking is not over when you leave the event. After the event, review the business cards you collected and enter them in your database. Whenever possible, link the information you received to your new contacts’ social media profiles and add their photos. Afterwards, follow up with the people you met once or twice. At the next events, you will start recognizing people and networking will become much easier. Online networks have started to establish regional face-to-face meetings. Indeed, an offline component can keep your network relevant and valuable to members. It also adds value to the platform and can be a further incentive to join your network and not one of the countless others. However, there are some obstacles when building up an offline community. Considering a widely spread network, the opportunities for meeting in real life might be limited or impossible. 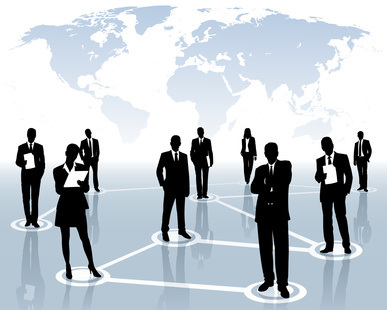 Furthermore, you need to coordinate members’ offline and online networking facilities and habits. As the example of a women network in New York shows, not every offline network can be complemented by an online community. The members of the above mentioned group that met every two weeks were women at middle-age who were not willing to put their private information on the Internet and therefore did not join the closed (invitation-only) Facebook group. Thus, the offline network missed to take the opportunity of further growth and longer life. In general, you should focus on already existing and valuable relationships and try to adapt them to the nature of the network with particular regard to the members’ habits. In television or print advertising, one simply has to address the message to the target group. In social media networks, other strategies are necessary. First, there is no standard for advertising in social media and what works on one platform doesn’t necessarily work on another. Second, community members are becoming more and more overwhelmed by ads on their website and increasingly seem to care about recommendations from their network friends only. Advertisers should apply basic strategies to attract followers and modify them according to the needs of each platform: Follow people in the hope that they follow you back, post valuable information frequently, ask your fans to refer you to other people, mention others so they can notice your updates. There are two basic choices for marketing strategies in social networks: Buy an advertising campaign or start your own viral campaign. The Harvard Business Review suggests that the latter is more efficient and shows how to influence the community to shape their purchasing decision. As a marketer, you should show a deep understanding of the users of your network because the level of connectivity of the members can affect the purchase decision. Also, click-through rates on socialnetwork platforms are extremely low and one should rather focus on viral campaigns to attract customers. For example, Honda’s virtual Valentine’s Day campaign involved 750.000 people by giving them a heart-shaped virtual gift with the Honda Logo and thus managed to create high awareness at very low costs. Another very successful example is the Mary Kay viral marketing campaign on Facebook. People can try cosmetics virtually and post the results in order to get advice from their friends. Thanks to social networks, companies can create high awareness for their brand and products. Die Grundlage von Social Entrepreneurship sind nicht monetäre Ziele, sondern auch der gesellschaftliche, soziale Nutzen.